When you want an affordable trike for a kid with a disability, this is the man to call. Adaptive bicycles and tricycles for children with mobility issues can cost thousands of dollars. Jack Carlson, a single dad of three in the St. Paul Minnesota area who works in a bike repair shop, is working to improve access. 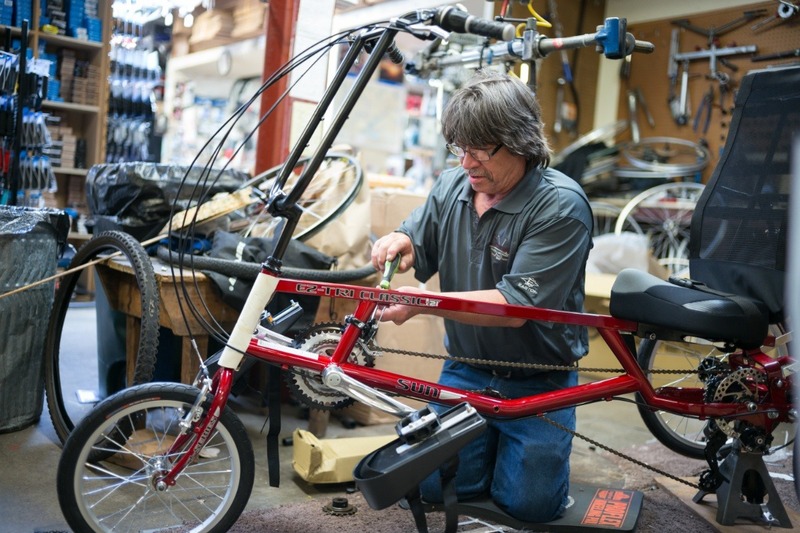 Carlson has been called the MacGyver of adaptive bikes, because he’s adept at taking whatever materials the bike repair shop has handy to customize bikes to a child’s needs (for instance, shaving and mounting an old pair of roller blades for a kid who has trouble keeping their feet on the pedals). He works with individual families as well as Gillette Children’s Hospital and other organizations. 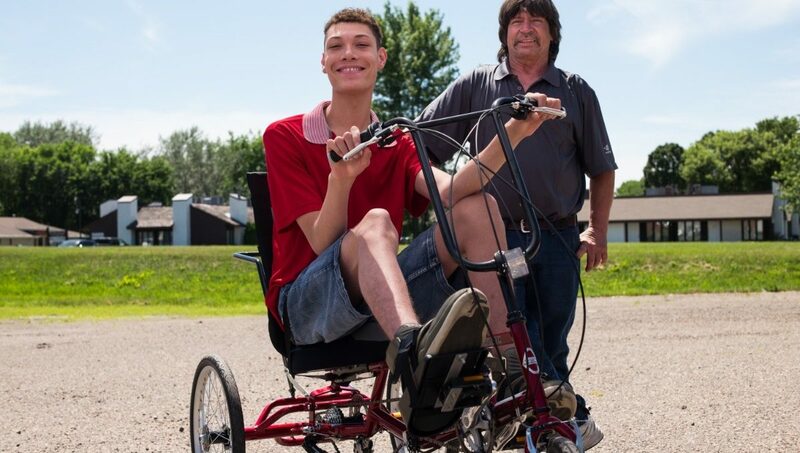 And because not everyone can afford to buy or customize a special needs bike or trike, he just raised over $70,000 through a GoFundMe campaign to bring adaptive bikes to those who need them. Folks recently chatted with Carlson about how he got interested in adaptive bikes and why he’s passionate about this issue. The following excerpts have been edited for clarity and brevity. Jack Carlson, working on an adaptive bike. How did you get involved in adaptive bikes? I’ve dealt with bicycles since before I was in high school. A friend of my dad’s owned a bike shop, and I went to work for them between ninth and tenth grade. I did that for years, trying different things and then coming back to it. I started working for Strauss Skates and Bicycles back in 1987. One of the guys that used to work there came in with his daughter looking for a three-wheel bike. She had special needs, and he couldn’t find one, so I looked around and found one that was a price that he could afford because the other stuff was out of their price range. We got her that bike, and it was just so overwhelming that I took a little more of a step into it. We tried to do a little more with trikes and stuff like that, for about 10 years just dabbled in it. We had a lady that called that was selling the trikes that we sell, and she wanted to get out of the business. She had her own special needs child and needed more time to deal with her own stuff, so she recommended that we take over. We took over from the company, and it’s been gangbusters ever since. What was the reaction of that first tricycle for a special needs kid? 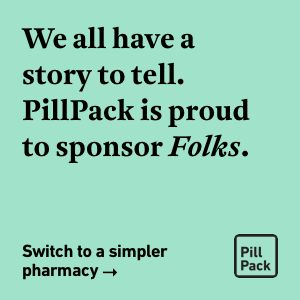 Why was that such an important moment for the family and an aha moment for you? Just seeing the smile on the girl’s face. They came back in about five years later and wanted it tuned up and stuff, so I did that, but it was just the overwhelming happiness of it. I was getting pretty tired of just doing bikes and skates. I needed something else to challenge me. I’ve always liked to make things, so it gave me something to challenge myself. 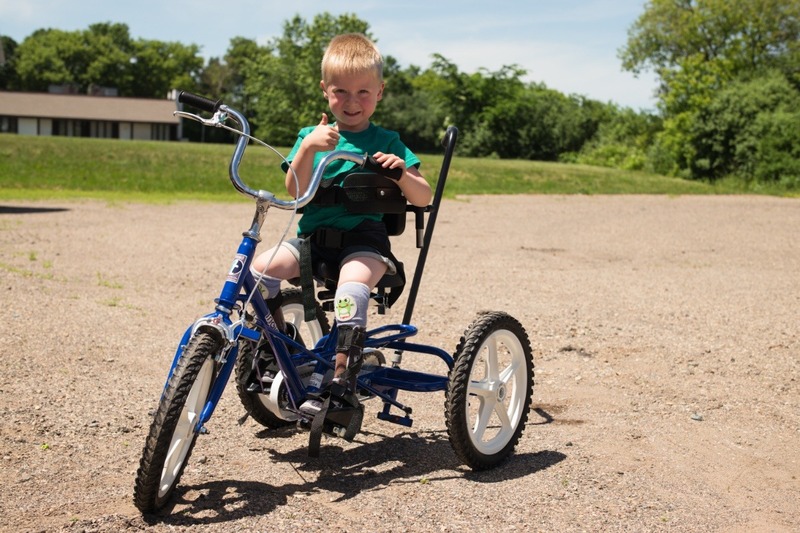 In addition to selling adaptive bikes and trikes, what are some of the adaptations you’ve made to suit individuals’ needs? The first one was a little girl that had shorter legs. Her legs weren’t keeping up to her upper body. Her mom came in and wanted a bicycle with training wheels. I directed her towards the trike, and she just didn’t want any part of it. I had an idea that I’d seen with a little 16-inch bike and cutting down the frame. The frame would be shorter in the leg area, so it would fit her better. I rewelded it. For a lot of these kids, riding a bike really helps their physical development. The main goal is to make it so her daughter could seem like everybody else, and it did because she could go on rides with the family. Granted, it’s a smaller bike, so they’re not going to go as fast or as far or whatever, but at least they could all ride together. We’ve made bikes for kids that don’t have a hand. If you only have one hand, your balance is off because of it. We can make something to fit that so that keeps their balance better. Tell us about your GoFundMe campaign. Why was this important to you? 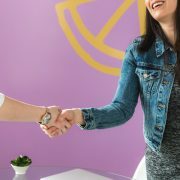 It about being able to help families. The thing is that when these people have special needs, they also have lots of bills beyond us–doctors and stuff like that–so that takes up a great portion of their money. If this can help the children get out there and ride more or get out and ride at all, it’s worth it. If this can help the children get out there and ride more or get out and ride at all, it’s worth it. For a lot of these kids, riding a bike really helps their physical development. If people have weaker legs, it helps them strengthen them. If people have a weak left side or a right side, it helps strengthen that. It gives you a lot of satisfaction to see somebody be able to ride a bike and go out and smile.